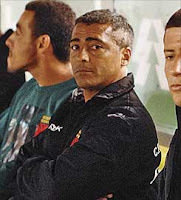 Vasco da Gama living legend Romario will take charge of the side for Thursday's Copa Sudamericana game against America of Mexico, after previous manager Celso Roth resigned at the weekend. The striker, who claims to have scored 1000+ goals in his career, will take the player-manager position temporarily, until a long term replacement is found for the departed Roth. The early favourite to be given the position is the well travelled Antônio Lopes, who took Vasco to Brazilian league and Copa Libertadores triumphs in his previous reign at the club.